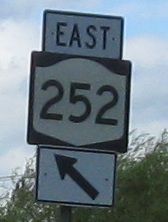 WB on NY 252, a.k.a. Jefferson Road, first two photos courtesy Doug Kerr. 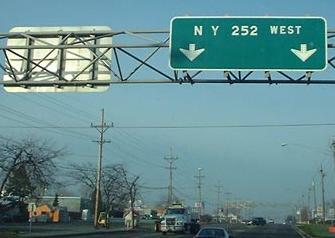 The second photo is just past NY 15A, and the last two photos head down the NY 15 ramp (with a U-turn opportunity first). 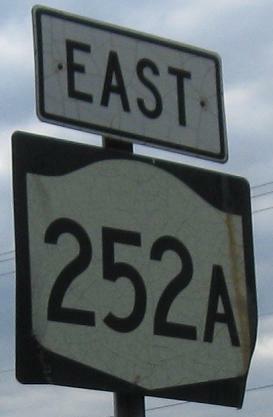 252 goes more to Rochester Institute of Technology than the Airport (which is somewhat to the north). 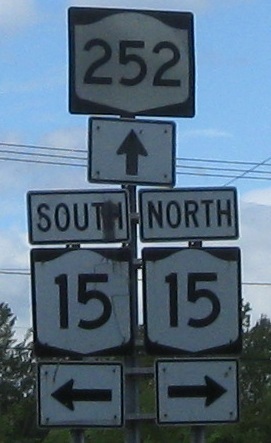 NY 15 used to be US 15, so the BGS could date from that redesignation. 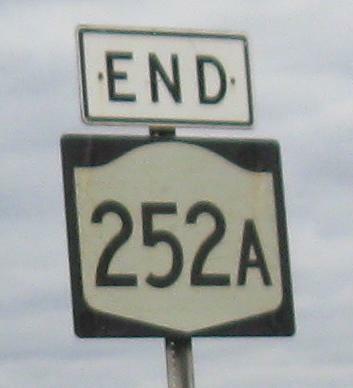 EB on NY 252A, a.k.a. Paul Road. All of the shields are uniformly old, perhaps 1970's. Turning left on Paul Rd. as Beahan Rd. continues straight ahead. 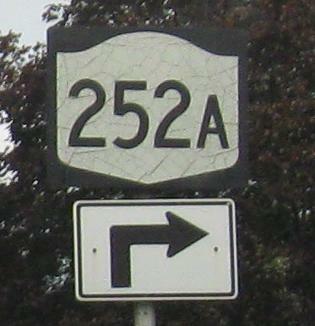 NY 252A and Paul Rd. now curve around the south of Greater Rochester Int'l Airport, but Paul Rd. 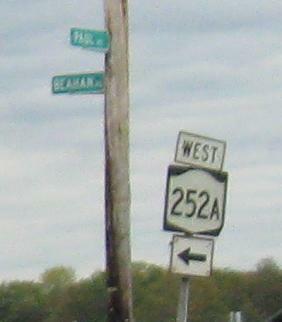 (as plain NY 252) and Beahan Rd. used to cut straight across the main runway. 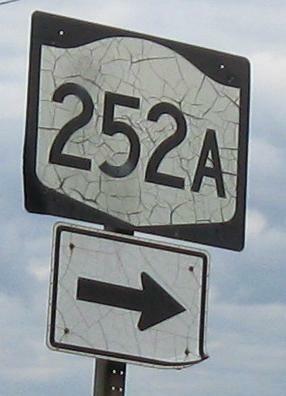 The reroutings happened when the runway was doubled in length, and that may have been when the NY 252A shields were installed.